Juniors take part in Games on Wednesday afternoon and also have the opportunity to stay after school on Wednesdays for Games Club if they wish. 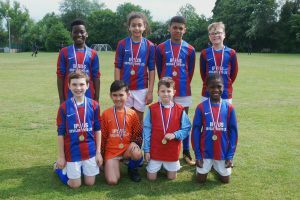 Games lessons provide valuable broad life skills training including all aspects of safety, following instructions, fair play and sportsmanship, individual skills development, team games and fitness. Boys and girls compete successfully against other schools in many of the above sports. Year 1 and Year 2 Pupils take part in a specialist Games lesson with our P.E Teacher once a week, as well as taking part in other activities with their Class Teacher. Nursery and Reception children take part in regular Music and Movement lessons with their class and have regular access to out door play areas including large lawn area and Sensory Garden. From Year 1 pupils swim for two half-terms during the Academic Year at Waddon Swimming Pool, accompanied by our Swimming Coach Ms Cooper. 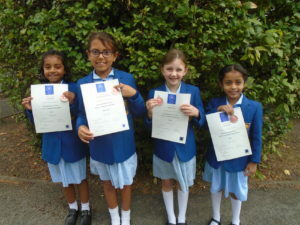 Pupils take part in several Swimming Galas each year in which we have enjoyed much recent success. 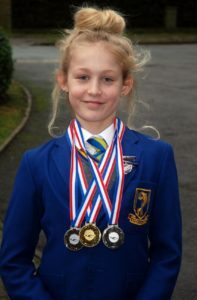 Laleham Lea Pupils currently hold the ISA Regional and National Year 6 and Year 5 50m Backstroke titles and have also taken Silver in Freestyle for the last two years running (Y5/Y6) at the same competition. We have also held the 25m Freestyle title at The Croydon Schools Swimming Association Championship for three years running; and this year, also secured first place in the 25m Breaststroke competition. After School Clubs cover a range of sports including Netball, Football, Fencing, Ballet and Tennis.